This episode of Enterprise Radio is in association with eDC (Greater Washington, D.C. Entrepreneurs). How does your service help International trade and commerce? Who are some of the customers you have, industries and institutions like Universities? Why should somebody choose WCS? Conclusion: Navigating the various government authentication requirements for different countries is a very tedious and time-consuming process. By utilizing established expertise in the field, you can save your company or your department a lot of wasted time, frustration and expense. Over 25 years in the Legal Services Industry. Early provider of electronic legal research service WestLaw and other computer-based and traditional legal research products to court systems, Federal, State & Local Governments, large corporations and large law firms. Five years with premier Registered Agent Services Provider, CT Corporation. Handling Service of Process for Fortune 500 corporations, as well as assisting large corporations and multi-national law firms with the creation, maintenance and legal compliance issues of corporate entities. Most recently, five years as V.P. & General Manager of Washington Consular Services. Providing document legalization and Apostille services to Pharmaceutical companies, Medical Device Manufacturers, Food Service companies, Intellectual Property legal professionals and others requiring Consular Legalization and Apostille of documents to be presented in countries around the world. 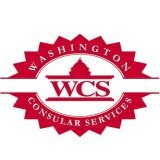 This includes Embassy liaison services, U.S. Department of State authentication services, national Secretaries of State certifications and the establishment of proper authentication chains for documents of all descriptions. Most particularly, Regulatory documents, Patent and Trademark documents, corporate formation documents and commercial shipping documents. Extensive expertise in discerning and executing correct authentication paths for diverse document types.